Horror is in a creatively robust periods with films like “Hereditary” and “Get Out” crossing the line that separates genre and “serious fare” (for those who make such distinctions). The Midnight section at Sundance has been a bit lackluster in recent years (with some striking exceptions like the aforementioned Ari Aster flick, “Mandy” and “The Babadook”) but 2019 came roaring back, illustrating the resurgence and depth of what this genre is providing nowadays. From a documentary to a mood piece to an action film, this was one of Sundance 2019’s strongest programs and one of the best Midnight sections I’ve ever seen at any festival. People were buzzing about titles and studios were snatching them up, realizing that horror is a critical and commercial leader right now. The best of the midnights I’ve seen so far is “The Lodge,” from the directors of the unsettling “Goodnight Mommy,” Veronika Franz and Severin Fiala. They’re working once again in that deeply uneasy register, and working once again with that fraught dynamic between children and parents—well, in this case, a potential stepparent. With elements of the snowed-in insanity of Stanley Kubrick’s “The Shining,” this atmospheric mindf**k was one of the most divisive movies of Sundance 2019, drawing raves and pans in equal measure. I’m a fan. From the opening scenes, Franz and Fiala drench “The Lodge” in looming dread. They have the nerve to open with a series of Chekhov’s gun images, including a literal weapon on a table, only to reveal that they’re miniatures in a large doll house in the home of kids Aidan (Jaeden Lieberher) and Mia (Lia McHugh). Their parents Richard (Richard Armitrage) and Laura (Alicia Silverstone) are going through a divorce and Richard has taken up with Grace (Riley Keough), the only surviving member of a doomsday cult that recently committed mass suicide. While writing about the cult, Richard met Grace, and left Laura. The kids do not like Grace. In an effort to do something to bring the family together, Richard brings the quartet to a remote Northwest cabin for Christmas, but he has to go back to town for a few days. The kids will get closer to Grace. What could go wrong? Shot on film by cinematographer Thimios Bakatakis (a regular Yorgos Lanthimos collaborator on films like “The Lobster” and “The Killing of a Sacred Deer”), “The Lodge” has an oppressive, striking visual style. Every element of the design team works together to create a nerve-rattling mood. You can feel the rush of cold coming through the window as snow buffets the house. There’s a sense of danger in every scene, and a danger created not narratively as much as it is through the film’s visual language and sound design. The film works on levels of discomfort – the one with a new stepparent, the one with an imposing storm outside, the one created by isolation, and, oh, the one from the only adult in the house going crazy. A lot of “The Lodge” relies on what could be called “things real people don’t do,” but horror has a long history of exaggerating human behavior in mood pieces, which this most definitely is. Don’t come into it trying to break down the plot’s inconsistencies, just give yourself over to what it does to you with its foreboding imagery, and the unsettling performance from the great Riley Keough, who makes Grace a fascinatingly elusive character. Does Grace seem a bit odd because we’re seeing her through the children’s POV? Because of her dark background? Because of her anxiety over being a sudden mother? Although Keough is smart enough to not play her as a pure question mark, grounding her while also leaving enough open to make her fascinating. “The Lodge” is a truly unsettling movie, the kind of horror film that rattles you on an almost subconscious level, making you more uncomfortable than going for cheap scares. Don’t ask questions or dissect the believability of the plot. Just check in. The Midnights programs this year started on opening night with a unique choice – a film that isn’t scary in its own right but dives deep into the history and impact of one of the scariest films of all time, the masterpiece that is “Alien.” As he did recently for “Psycho” in the interesting “78/52,” Alexandre O. Philippe dissects Ridley Scott’s masterpiece in “Memory – The Origins of Alien,” focusing as heavily on the infamous chestburster scene as he did Hitchcock’s shower scene in his last documentary. Philippe’s film deftly details not only how and why that scene works narratively but breaks down the visual language of it too, allowing even fans of “Alien” to see its brilliance from every angle. “Memory” also provides something I love in documentaries about classic films and that’s the sense that “Alien” was something of a perfect storm of talents coming to the same project at the same time. What if Dan O’Bannon hadn’t written the 29-page script for “Memory,” which would later be renamed “Alien” and retain nearly the identical same opening pages? What if Walter Hill had stayed on the project and not ceded way for Ridley Scott to take over? What if H.R. Giger was never involved? And Philippe not only makes clear how each of these gentlemen impacted the final product but how much “Alien” incorporates a long history before them, including comics that inspired O’Bannon, H.P. Lovecraft, The Furies, and even O’Bannon’s own Crohn’s Disease. You probably know how that last element impacted “Alien,” and Philippe spends a great deal of time breaking down why the chestburster scene is so effective, even noting elements of its visual language that I had never caught (and I’ve seen it at least a dozen times over my life). It’s a movie made by someone who loves his subject matter but it’s also way more than mere fandom. 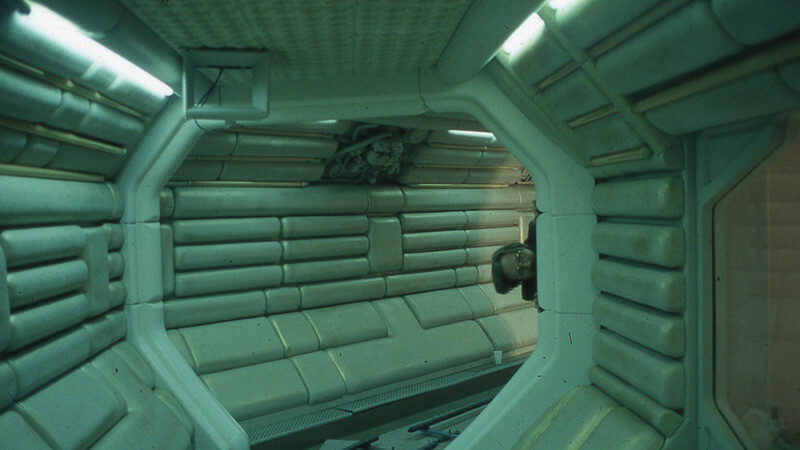 It’s doesn’t just remind you that “Alien” is a masterpiece but details how it got that way and why it continues to haunt us. No one will ever use the word masterpiece to describe Abe Forsythe’s “Little Monsters,” but the Midnight Premiere audience on Sunday night ate it up to the point that Neon ran out and bought it. I can see why. It’s the kind of bloody, raunchy, silly thing that slays with people willing to stay up until 2 in the morning to watch a zombie flick. In the light of day, it’s a little more flawed than I was hoping, but its leading lady keeps the project moving, and fans of movies that feature brain-eating lurchers should be entertained. Given how much this horror-comedy was inspired by George A. Romero and Peter Jackson, one could call it “Field Trip of the Dead,” as the majority of the film takes place on a school trip to an amusement park that happens to be next to a military testing facility. Dave (Alexander England), a slacker who has just broken up with his girlfriend, accompanies his nephew Felix on the date after he catches a glimpse of his teacher, Miss Caroline (Lupita Nyong’o), a gorgeous young lady who sings Taylor Swift on her ukulele and inspires her students. They’re all headed to play putt-putt and even catch a glimpse of a celebrity on the pre-school scene on his world tour, the aggressively grating Teddy McGiggle (Josh Gad). And then the experiments at the testing facility break out and start craving human flesh. Nyong’o wonderfully captures the spirit of a woman who knows her job is not only to protect her students but to convince them that this is all a game. They conga line through the zombies – thank God these are the “slow ones” – and huddle in a gift shop, hatching an escape plan between singing songs with the kids. Nyong’o really can do absolutely anything, segueing seamlessly from comedy to drama to horror in her career. She’s charming here and anchors the movie. England is remarkably annoying at first – the movie takes too long to get to the gift shop – but his character has a redemption arc, and he ultimately grew on me. Gad is in full-blown Gad Mode, but the awfulness of his character is intentional this time. Ultimately, “Little Monsters” may not live up to the Romero/Jackson films that influenced it, but it’s a reasonably enjoyable zombie flick. Well, depending on the time of day you see it.